Every now and then I check to see whether Skype has any updates available. I go through the usual process of clicking on the "Check for updates" link under the Help menu; Skype goes off and does its stuff, after a few seconds it comes back happily reporting that I'm already running the latest version. That's not always the case. Skype is a great tool and really makes keeping in touch with international clients an attainable goal. However when things go wrong, whether it be sound quality or dropped video, it doesn’t always show the professional nature of the interaction. 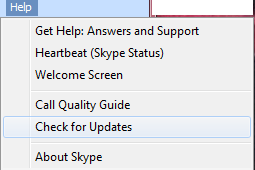 Usually after such a dismal experience I check for updates by using the Check for Updates option on the Skype Help menu. After a few moments Skype happily reports that I’m running the latest version. So ordinarily that would be the end of it, but my frustration resulting from the failed conversation with the client got the better of me. 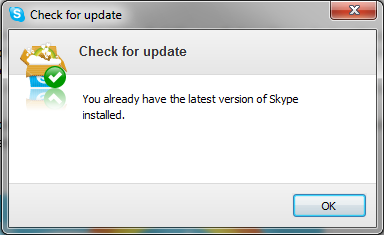 It’s not the first time that this has happened, and in fact it’s usually how Skype deals with updates. Granted, sometimes Skype does actually download a hot fix but never a major version update. I checked my current version and it was 4.1.0.179. I’d been working with this one for some months but the video call problem was becoming unworkable. I needed to satisfy myself that the version currently installed is the latest version - irrespective of what Skype reports. 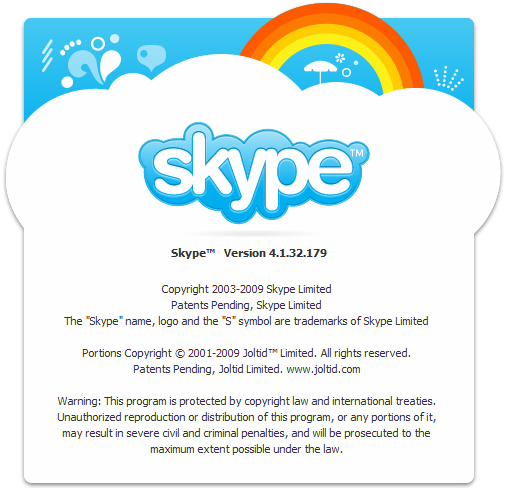 I decided to go and download a copy of Skype directly from the website. I uninstalled my current version 4.1.0.179 and installed the new one. Guess what - it had a version of 4.1.32.179. Hm. The update facility in Skype is quite useless at the best of times. If you want to make absolutely sure that you’re running the latest version, go to the website and download the latest build manually. Granted, some hot fixes do filter through directly to the Skype application, but these are of little use if there’s already a major build update.